While marketing efforts were once seen as costly, time consuming, and built by professionals with years of experience, the rise in popularity of social media has meant that anyone from freelancers to small business owners to corporations can make use of the medium to get their messages to their target audiences quickly and with little relative cost. While print and television ads were once the best way to get your organization’s name in front of your audience, the ability to speak directly to targeted customers or clients through apps they increasingly use has become invaluable for growing a client base and engaging with customers in a direct, personal way. A recent study by the Social Media Lab at Ryerson University found that not only is Canada one of the “most connected countries in the world,” but that 94% of Canadians with access to the internet have at least one social media account. Facebook, Instagram, and Snapchat have the highest rate of daily users, with both young people (aged 18-24) and women being the most likely to adopt social media. So, in the interests of having your business or services promoted, taking to social media seems like a no-brainer. However, it’s not quite as simple as uploading a message and waiting for it to go viral. In fact, there are a number of missteps that can make your marketing efforts more costly than you planned, particularly if you’re investing time and energy with little-to-no return on that investment. 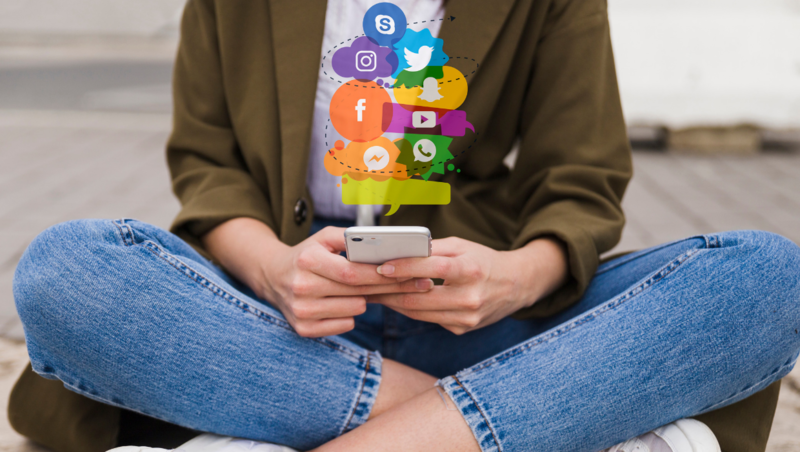 Here are five indispensable social media marketing tips to help ensure that you don’t waste your time and resources on misguided marketing approaches. (Or, in a positive voice: “Here are five indispensable social media marketing tips to help you use your time and resources in a targeted marketing approach). We’ve all seen the effect a viral campaign can have for a company. A post or meme blows up seemingly overnight, is retweeted, reposted, reblogged, and shared by millions of people, trends on Twitter or is even mentioned in the opening monologue of a late-night host. 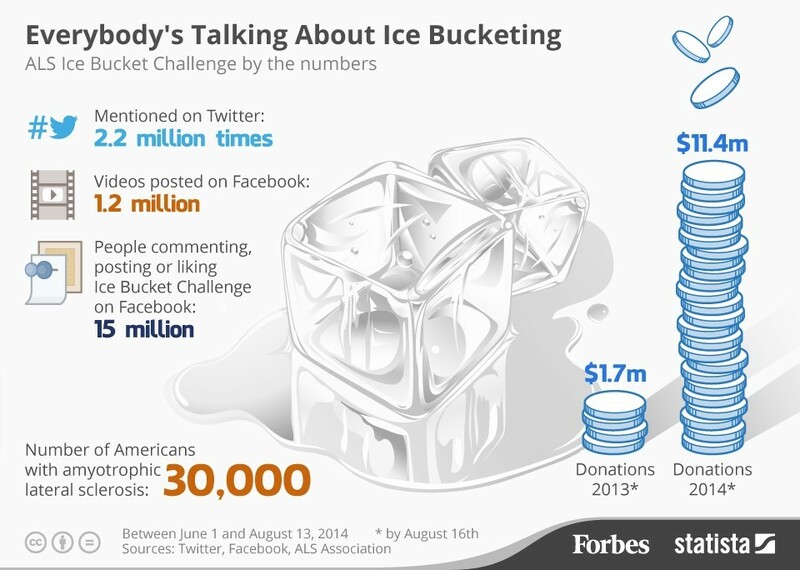 The 2014 ALS Ice Bucket Challenge is one of the most famous examples of an online campaign that went viral. In an effort to raise awareness for Amyotrophic Lateral Sclerosis (ALS) disease, the ALS Association challenged people to post a video of themselves dumping a bucket of ice-cold water on their heads, and then challenge three more people to do the same - as well as make a donation to the Association - within the next 24 hours. Between June 1 and August 13, 2014, the Ice Bucket Challenge was mentioned 2.2 million times on Twitter, 15 million comments about the challenge were posted to Facebook, and 1.2 million videos of people dousing themselves in freezing water were posted to Facebook. The ALS Association went from $1.7 million in donations in 2013 to a whopping $11.4 million in donations the following year. Celebrities joined in the challenge, including Rihanna, Mark Zuckerberg, and Bill Gates. So, this might leave you thinking “I need to create something that will go viral!” Who wouldn’t want millions of people, including Bill Gates, interacting with your organization and sharing your call to action? Despite the temptation of this approach to your social media marketing efforts, trying to create a viral campaign will inevitably fall flat. Not only are viral campaigns those that, by definition, become popular very quickly and then fizzle out just as soon as they catch fire, but the chances of a campaign going viral are actually quite low. In a world where you’re speaking most often to young people who can quickly see when a company is trying too hard to impress them or engage with them, attempting to create virality can be a death sentence. Instead, aim for longevity. Create content that is true to your organization’s goals and values - speak to your audience honestly, rather than trying to pander in an attempt to manufacture that flash-in-the-pan popularity overnight. Authenticity and consistency are keys in social media marketing, as not only can customers or clients quite often sense when they’re being duped, but also because when you create organic engagement with customers, you will build loyalty and trust with your audience that will go farther than trying to be an overnight sensation. Here are some examples of campaigns that attempted to go viral but failed miserably, effectively doing more harm than good for their brand. It may seem like the answer to the question “who is your ideal customer?” should be “everyone!" but, that answer will cloud your marketing efforts and negatively affect your goals, be they sales, engagement, or website traffic. We all want everyone and their dogs to visit our websites, purchase our services, or engage with our brands, but attempting to market to everyone at once will result in marketing to nobody in particular. It is important to understand exactly who your audience is when creating social media marketing [or, “social media posts” or “social media messages”]. This goes beyond pinpointing a particular demographic - say, youth aged 18-24 or women over 60 or dog owners who also enjoy smooth jazz. Creating an actual persona of the customer you want to reach will make your marketing efforts more focused and effective. 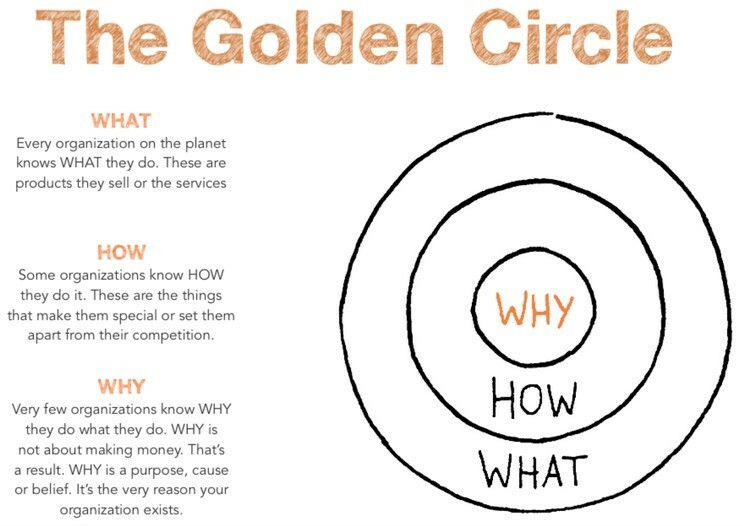 A good way to start conceptualizing your customer is to follow author and organizational consultant Simon Sinek’s Golden Circle model in clarifying what you offer your customers. This theory posits that we determine the three core motivations behind our organizations in order to best understand how we operate and how we can best engage with customers or clients. First, start with “why” - why do you exist? What is your purpose? How can you communicate your passion for the work you do with your customers in a clear and coherent way? Second, determine the “how” ¾ how does your organization do the work it does? What sets you apart from other, similar organizations? Lastly, think about the “what” ¾ what are you selling or providing to customers that they can’t get anywhere else? Clarifying what you uniquely offer will set you on the path to understanding your audience and how to most effectively speak with them. Creating a strong value proposition is a key step toward effectively using social media. It is, after all, a world in which people are scrolling and tapping for seconds at a time, usually while they’re in transit, waiting for appointments, or on a break. You don’t have a lot of time to catch a potential customer’s attention. What do you have to offer in the way of services, products, content, or experiences that can’t be found anywhere else? Once you’ve determined your offer, then you can better understand your audience. Your product, service, content, or experience is specific, particular, and designed for a certain customer or client.Who is that customer? What do they do for a living? How old are they? Do they skew to one gender over another? Where do they live? Where do they work? What do they do on the weekends? Where do they buy their coffee? Do they even drink coffee? Developing a customer profile will give you a specific person to have in mind which will help when you create posts and content for social media. What is that person’s values, hobbies, and interests? This should be based on your concept of your target audience and actual data of those buying your products and visiting your account. Harley Davidson is a good example of a brand that knows who their customer is. A Harley isn’t for everyone - purchasing one of their motorcycles is a significant financial investment, so they speak to people who have the economic resources to support such a purchase. They have created a members-only online group, the Harley Owners Group (HOG), to which they invite people after a motorcycle purchase. 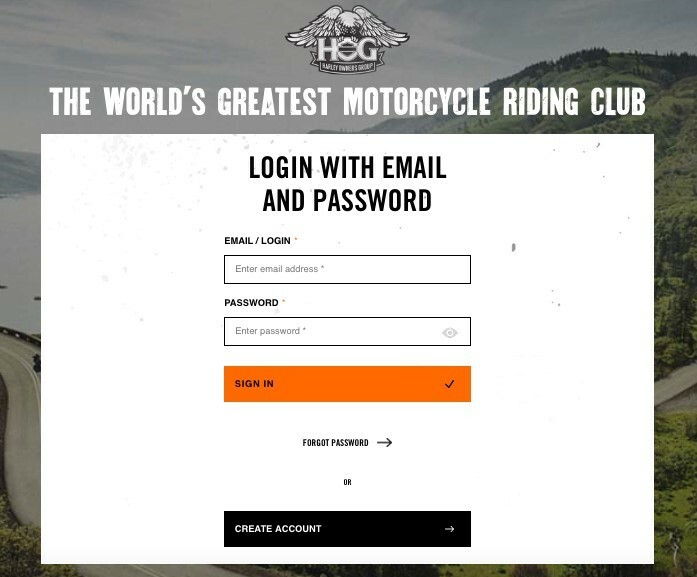 This connects customers to other HOG members and creates a community of people who can help one another with bike maintenance, bike rallies, and new products. This online club is exclusive to Harley riders, who build relationships with this community, thus being more likely to remain loyal to the brand. Once you know who you’re speaking to, social media marketing requires a little more than posting willy-nilly with that customer profile in mind. Pushing out content and posts without a clear goal or strategy will fall flat and will make it very difficult to know whether your efforts are working. The more specific and clear your goals are, the more effective your execution and the more engaged your customers will be. Creating a social media marketing plan that follows SMART goals - specific, measurable, attainable, relevant, and time-bound - is a good place to start. These goals can be campaign specific, or even weekly and monthly goals. Whatever they are, ensuring that you can measure their effectiveness - through things like increased followers, click-through rates, online sales, or post engagement - is important to understanding when you need to change or update your approach. Are you trying to hit a certain sales target for the week through your Facebook ads? Are you trying to increase your Twitter presence through customer engagement? Do you want to funnel customers to your website through Instagram posts? Whatever your goals, be specific and realistic. Again, you’re not trying to go viral, but you’re building organic engagement. It’s worth noting that tracking metrics that are meaningful for your organization, like newsletter subscriptions or referrals, will be more useful in the long run than vanity metrics like the number of likes an Instagram post gets, as it is more difficult to prove their overall value. One way to help build your strategic plan is to research your competition. How do they engage with their customers? What seems to work for them? What seems to fail for them? What can you learn from your research? Evaluate your current tactics as well: who is engaging with your content or purchasing your products and services? Who is connecting with you on social media? How does your social media presence compare to that of your competition? Which websites do your target audience use? A good example of a successful social media campaign that started with a solid plan is that of Shapermint, an online company that offers a selection of shapewear from a variety of brands. They understood the value of video content on social media platforms, so, in their effort to increase brand awareness and online product sales, they created a plan to run ads simultaneously on Instagram and Facebook stories. They started with a two-week trial in August 2018, when they posted video ads that showed real women putting on shapewear garments with body-positive storytelling and a prominent “Shop now” call to action at the end of each ad. After their trial, they found this strategy of cross-platform story telling led to increased purchase intent, ad recall, brand awareness, and ROI. The content that you post is just as important as the strategy you employ to engage with your customers. Understanding your customer profile and doing competitive research , seeing how your customers engage with your organization (or social media in general), and the trends in social media content are important in deciding on the types of content to produce. Long-form written pieces or short-form written pieces, video content or live content, or user-generated content versus brand-generated content are all options to consider. How your target audience digests social media will help you decide. Spend some time researching optimal times of day to post and the formats that have the most engagement. For example, video content and stories are currently used most effectively to help build engagement through cross-referencing individual posts. Research the trends in hashtags, keywords, and locations. Follow other popular social media accounts that speak to your customer base and look at the different content they produce. Exploring social media is a great way to determine the kind of content you will benefit from. Overall, however, your number-one goal is creating content that speaks directly to your customer and their interests in a way that is authentic and consistent with your brand. Create a theme so that your brand remains consistent and you develop a social media personality that your customers can come to expect and rely on. User-generated content is one way to increase and maintain customer loyalty. Asking customers to post photos of their favourite of your products, provide reviews of your services, or share their experiences with your organization is a great way to essentially have customers post on your behalf. It also tends to be less expensive, as digital ads are increasing in price. According to a 2017 Digital Advertising Report from Adobe, the cost of digital ads is rising five times faster than inflation! With the competition for customer attention at an all-time high, finding new and cost-effective ways to reach your audience is paramount. 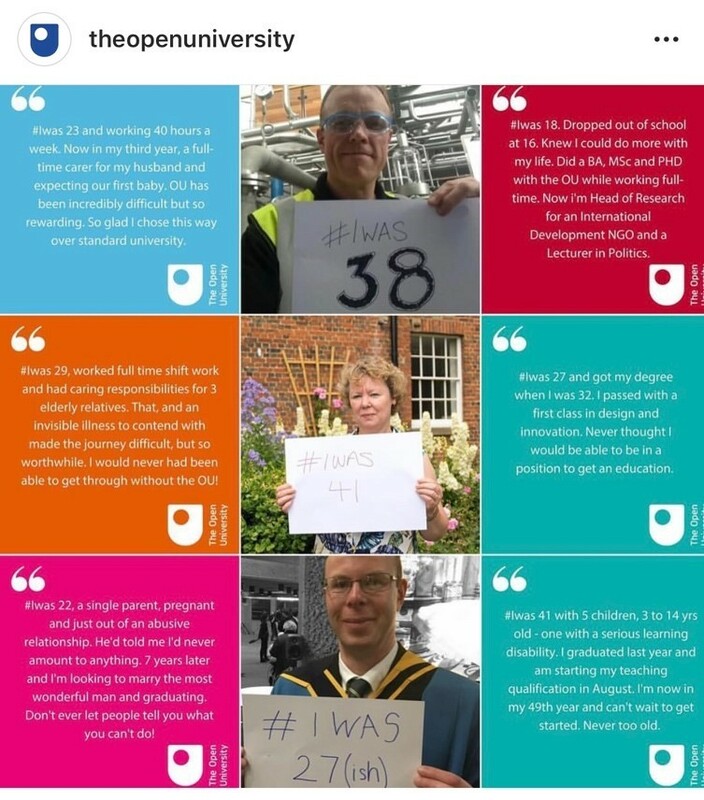 A really interesting example of leveraging user-generated content is from The Open University in United Kingdom. To raise brand awareness and illustrate how their distance-learning program was available to anyone, they asked current students to post photos on social media holding a sign with the hashtag #IWas with, their age when they enrolled in the program, and a brief story of their experiences. This illustrated that, higher education is attainable regardless of age. Because The Open University is a distance-learning institution, they leveraged student stories from around the world. These stories were relatable because they were told in the students’ own words, which helped connect to their target audience. The only way you’ll learn if something ​will work when it comes to engaging with your audience on social media is to try it! If you want your audience to interact with and share your content on social media, you need to be authentic and you need to stand out. Being authentic means that you’re sticking to your organization’s values and purpose - the “why” of Simon Sinek’s Golden Circle Theory. You’re not producing content simply to get the most likes, but to connect with your audience consistently and honestly. To stand out, however, you might need to take a few risks by trying approaches or methods that aren’t guaranteed to work. Ask questions, be creative, and think outside the box when it comes to your social media strategy. The worst that will happen is that it fails, but that’s truly the only way you’ll find out what works and what doesn’t. While the fear of tarnishing your reputation or wasting hard-fought budget lines is real, it’s when those risks succeed that you will see growth. GE, for example, was one of the first companies to use Instagram and Vine. It launched an incredibly successful social media campaign, #6SecondScience, wherein users posted six-second videos with the then-new social media app, Vine, of science experiments. For those users who didn’t know exactly how to go about creating a six-second science project, GE provided “recipes” that users could work with. They hosted an online “science fair” on Twitter for one week, which received over 600 Vine videos. GE then curated those videos and cross-posted them to Tumblr. 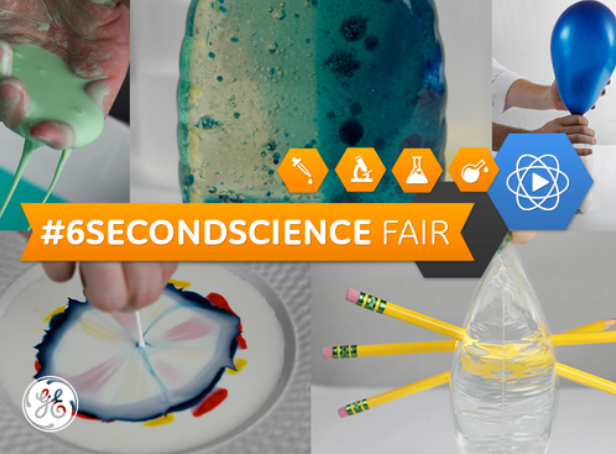 The campaign took off, appealing to users’ fond memories of high school science fairs and the excitement of being highlighted on the GE Tumblr account. Other websites started to pick up the #6SecondScience campaign and posted their own best-of lists. This campaign was so successful because GE managed to transform one of their values - a love of science - into a way to interact with their customers. They took a risk on a brand-new social media app, but that risk paid off. Social media can feel like floating in outer space, especially if you’re new to it. But it doesn’t have to be. Stay true to yourself, know your audience, have a well-thought-out plan, create content that is authentic and engaging, and take risks! Social media is fun and a great way to speak directly with your audience. Get out there and find interesting and honest ways to tell your organization’s story, and your audience will grow.